One of the most emotional experiences for a car, truck, van, or SUV owner is having to seek out a full auto glass replacement service for their automobile. This is especially true for those who live and work in the Pasadena area of Southern California. Whether it is due to encountering airborne debris on the busy freeways and highways in our area of the country, or due to an unfortunate car break-in, most auto owners simply find it a challenge to deal with getting a full windshield replacement service on their automobile. If you find yourself in need of these or other auto glass services, then you should definitely consider making the team at Mobile SGV Auto Glass your first phone call to help take care of your needs. Our company has been in business for 12 years and counting now, and we are one of the most highly rated companies in the business. Our commitment to customer service is one of the best in the region, and you will be impressed with the quality of our work. 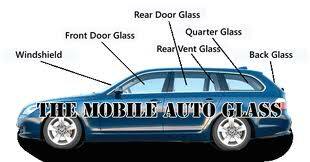 You will not be wrong in making our company your first choice when it comes to fixing the glass in your automobile. Our company goes to great lengths to ensure our clients have the best experience possible when it comes to getting the glass on their vehicle restored to the top condition possible. All of our service technicians go the extra mile to make sure that we follow the manufacturer recommendations 110%, and we always use OEM approved tools, parts, and materials when we work on your automobile. Combined with the high degree of craftsmanship that our service technicians display every time that we do a job, and you can quickly see why we are one of the top-rated in the business today. If you have any questions regarding our auto glass service, please feel free to give our staff a call today. We look forward to answering your questions and serving you today. No question is too small to ask, and you will be extremely happy that you chose to work with our team today.